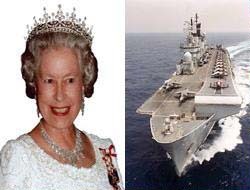 The Queen of Britain, Elizabeth II, will come to Turkey on May 13th in an aircraft carrier ship. The Queen will first visit Ankara and will then go to Bursa for five hours. After her visit to Bursa, the Queen will visit Istanbul and will host a cocktail party before her return to the capital. 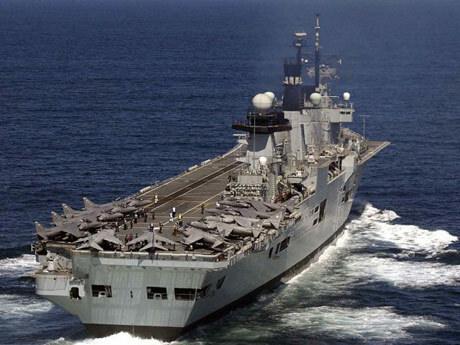 "Queen Elizabeth HMS Illustrious" will accompany Elizabeth II during her visit to Turkey. Details of the Queen of England, Elizabeth II's visit to Turkey have begun to leak out. Buckingham Palace abstained from releasing information about the Queen's visit to Turkey; however, the authorities of both the Turkish and British ministries are continuing their preparations for the visit. President Abdullah Gül will host the Queen and the first stop of the visit will be Ankara. The Queen also plans to visit Bursa and Istanbul where she will be accompanied by the Queen Elizabeth HMS Illustrious ship.